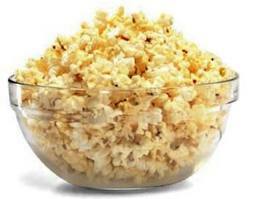 I shared a post with you some time ago on how to profit from your popcorn business. please if you have not read that post, you can read it here. In my last post i promised to teach you how to make popcorn. Today i am going to teach you how to make popcorn in the comfort of your kitchen. We are not going to use the popcorn making machine in this tutorial since its a home made popcorn. The popcorn making machine is usually used for outdoor or commercial popcorn making. What are the materials needed to make popcorn? What are the steps involved in making popcorn. STEP1. Put your pot on fire and pour a little oil into it. STEP2. Add a Cup or two of yellow maize depending on the quantity you want. STEP5. Stir the mixture to ensure they are well mixed and allow to steam for about 10 to 15 minutes until you start hearing the popping sound. STEP6. Allow all the maize to pop before pouring out the popcorn onto a tray to cool. Those are the simple steps involved in making popcorn at home. Note that the difference between home made popcorn and commercial popcorn making, is that the home made popcorn is made using your kitchen pot, while the commercial popcorn is made using the popcorn maker. The electric popcorn maker can be locally constructed. If you have been wondering how to get yours, please click on this link to see a list of companies who construct the machine, or you can also click on this link if you want your popcorn maker to be delivered to your door step anywhere you are in nigeria. I stated earlier that the popcorn making machine costs between 25000 and 30000. but it all depends on how well you can bargain.